It was very late in the afternoon when Bob and I came by the famous landmark that is Dunguaire Castle, and the place was pretty much deserted. 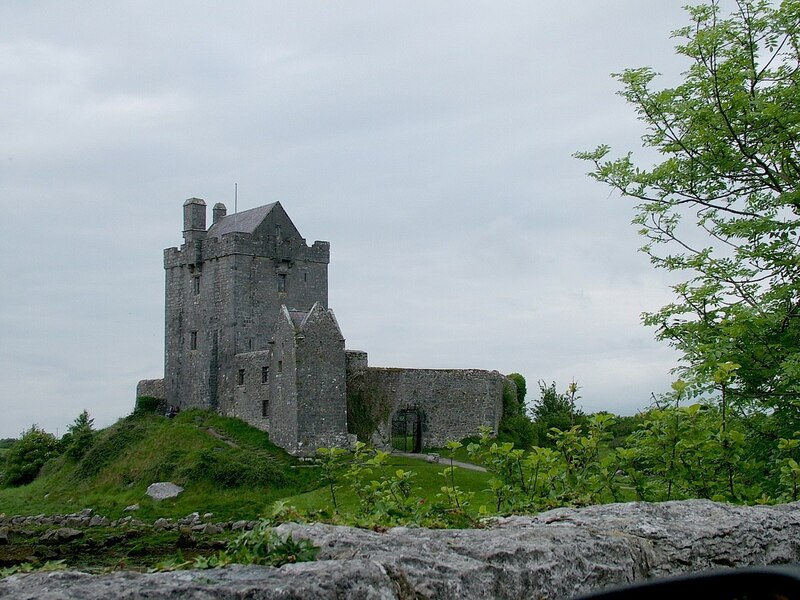 It was en route to Ashford Castle, our accommodation for the night, that we happened upon this ancient castle near Kinvara. 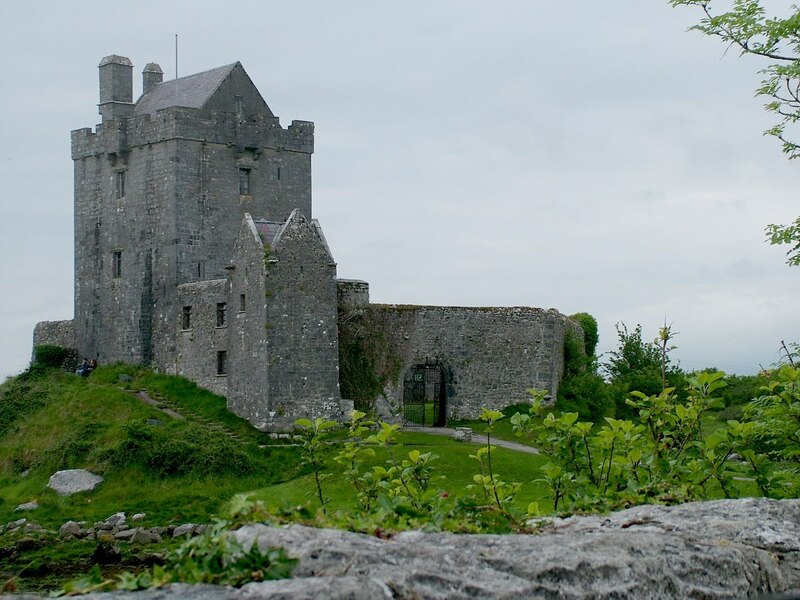 Dunguaire Castle sits on a rocky outcrop on the southeastern shore of Galway Bay in County Clare. Its simple yet magnificent architecture features a 75-foot tower, and both the tower and the defensive wall have been meticulously restored to their original condition. 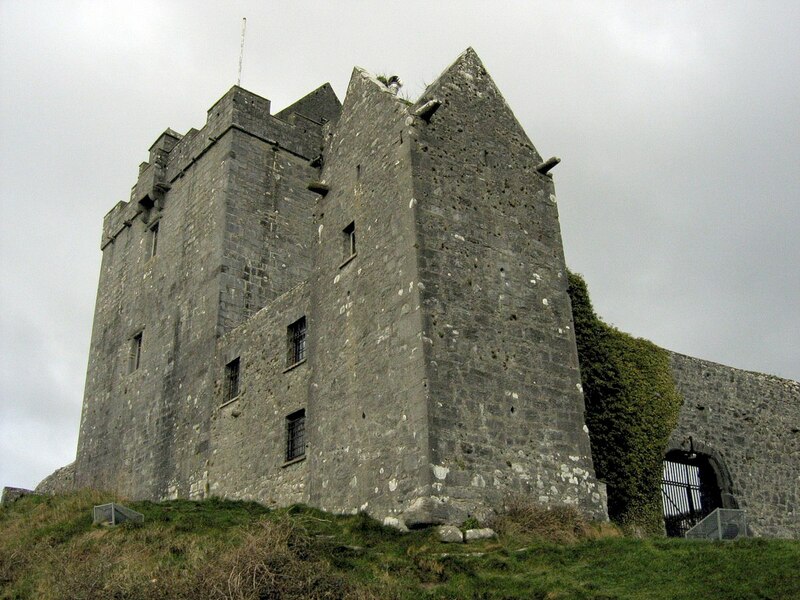 Dunguaire Castle is a 16-th century tower house that has a peculiar and colourful history. 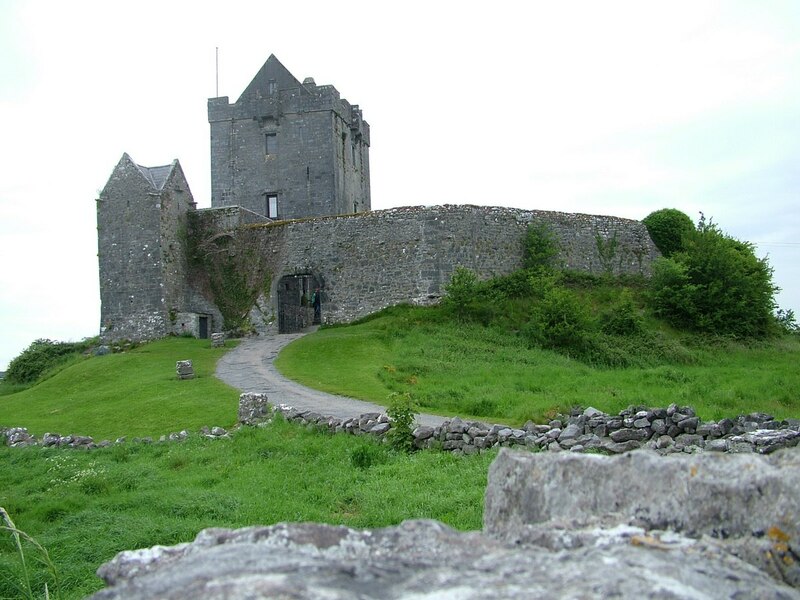 It was built in 1520 by the Hynes clan, a family associated with the area since 662. It is believed that the royal palace of Guaire Aidhne, the legendary King of Connacht, had existed in the area, if not at this very site. Hence, the name Dunguaire (fort of Guaire). Remains of the original ring fort lay northeast of the current castle on a small promontory. Guaire Aidhne was an ancestor of the Hynes and well known for his generosity to the less fortunate. Dunguaire Castle has changed hands many times over the centuries with Shannon Development being the last to acquire it. Previous to that, Christobel Lady Ampthill purchased the castle in 1954 and completed restoration work began by Oliver St. John Gogarty. Gogarty, a surgeon and poet, had owned the property between 1924-1954, during which time he began restorative work, but perhaps became more noted for establishing the castle as a meeting place for literary revivalists. Leading figures of the Celtic Revival included such writers as J.M. Synge, W.B. Yeats, his patron Lady Gregory, George Bernard Shaw, Edward Martin and O’Casey, all of whom once gathered here and set about reviving the ancient oral customs that characterized Celtic Bardic Tradition. Yeats went on to incorporate them into his plays and poetry. In the days of the High King of Connacht, the castle was home to great gatherings at medieval banquets. 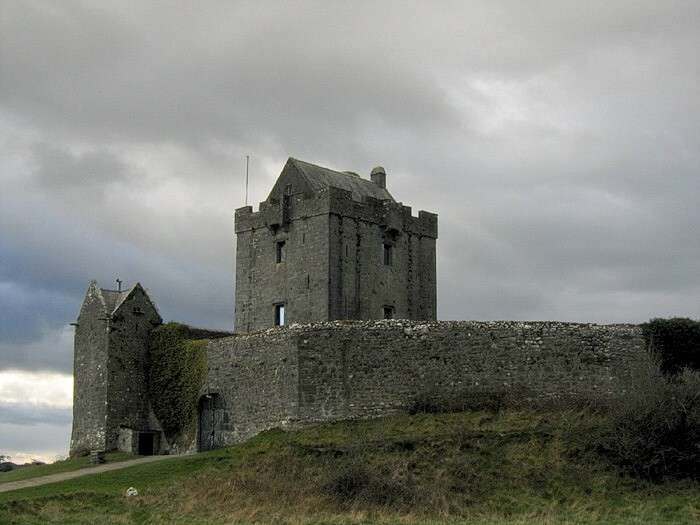 Famous lore about Dunguaire’s Castle is that the Lord was known for his hospitality to all classes and his alms to the poor, with his charity continuing into his afterlife. Legend has it that, even today, if a person stands at the front gate and asks a question, they will have an answer to that question by the end of the day. Bob and I didn’t test the legend because we were unaware of it at the time. It is interesting to note that, of the King of Connacht’s descendants known today, Diana, Princess of Wales and her children, Prince William, Duke of Cambridge and Prince Harry are the most celebrated. After poking about the property briefly, we got back on the road, not to be sidetracked again until we arrived at Ashford Castle.